Police are trying to trace two Good Samaritans who may have important information relating to a serious sexual assault at Miller’s Meadow. A man and a woman helped a young woman from Bridge Street, near NB’s bar to a taxi rank in Bradshaw Street, between 3.45am and 4am, on Thursday, August 20. Officers believe they may have important information relating to a serious sexual assault that happened later that morning. The alleged assault is believed to have happened in Miller’s Meadow, St Andrew’s Road, shortly before 5am. 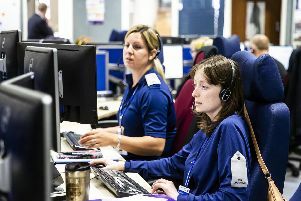 The man who helped the young woman was white and was wearing a dark-colour trilby-style hat, a black T-shirt with a light patterned motif on the front, jeans and dark-coloured trainer type shoes with white laces. The woman with him had long blonde hair and was wearing a short, dark dress and a coat or jacket. Detectives believe they could be important witnesses and are urging them, or anyone who believes they may know them, to contact Northampton CID on 101, quoting incident 47 of 20 August 2015.